Energetic rock might be just the ingredient to kick off the week, and Glasgow based four-piece Bloodlines might be just the source of said sounds. These sounds come courtesy of the band’s debut EP, Love the Taste which was triumphantly released a few months back, recorded by Paul McInally at 45 A-Side. Leading with the EP’s title track (and first single), Love the Taste is a nail biting start, with hard hitting sounds balanced against an intricate elusive melody. Stop Me brings dominant, powerful layers of sound punching their weight against sparse vocals, and some intricate work on Polarbear is bound to impress a few ears. 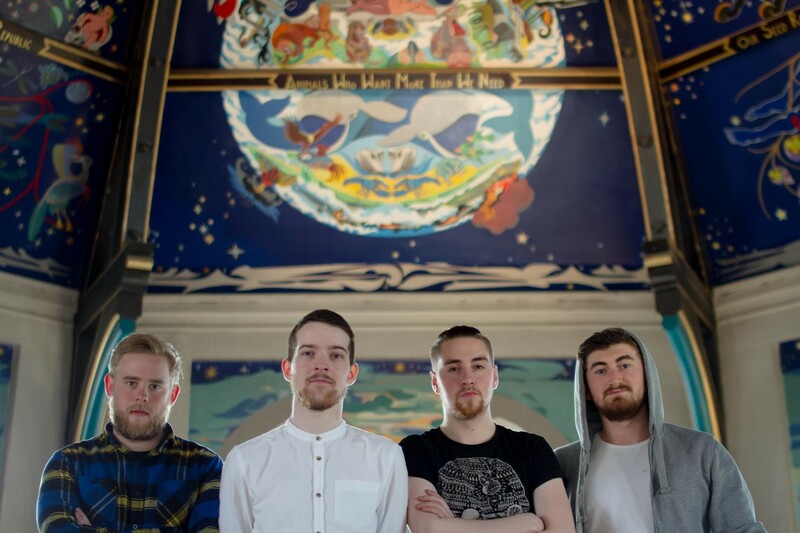 A little reprieve and change of pace comes by way of We Are Anonymous, a calmer, melody fuelled number before wrapping up the attitude-fueled Cathedral complete with a video (below, filmed by Keep The Change Production at Oran Mor). Not only are the tunes great, but the artwork comes courtesy of Aussie artist Joshua Meils, impressive stuff I must say (although I’m no aficionado).